You've done it! You've said yes to your dream dress and you're ready to start the next step in the wedding gown process: alterations. Most gowns need some sort of alterations, so that it fits your body just right. 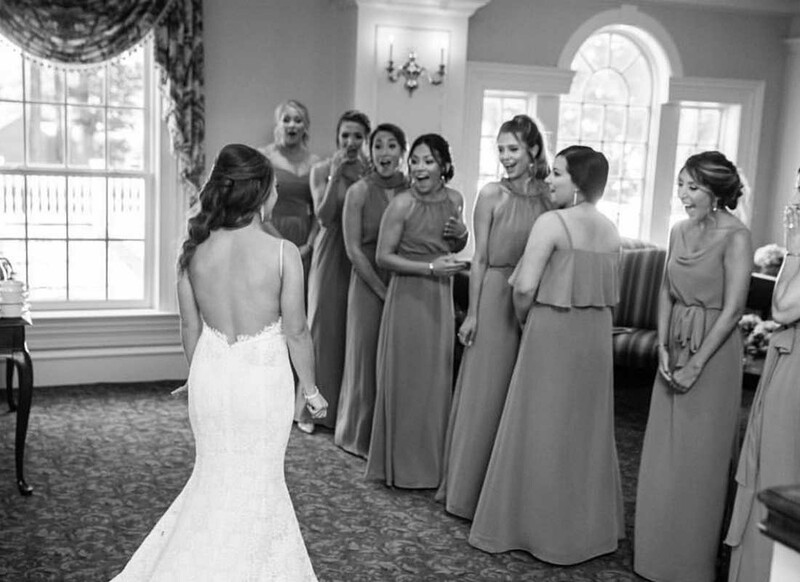 For those who do a lot of customizations to their gown, more alterations may need to be done. However, even if you are doing just the bare minimum in alterations, here are a few alteration do's and don'ts to help guide you through the process. DO allow enough time for all of your alterations to be made. You want to make sure your dress comes out exactly how you envisioned it, so give yourself time. Shop early for your wedding gown so that no matter what you want done to the dress there will be plenty of time to do it. DON'T wait until the last moment to go dress shopping! Unless you are buying off the rack or a gown “as is”, which is rare to find a dress “as is” that fits perfectly. Majority of the time you are going to need alterations and they take time. Plan ahead leave anywhere between 6-9 months to get your dress in and alterations completed! Your wallet and peace of mind will thank you later! DO have your gown altered to fit your body, not the other way around. Look I get it, you want to lose five pounds before the wedding and have been doing super well at your new lifestyle and exercise routine. So, order the gown one size smaller and then make sure you stick to it. This time is already stressful enough with all of the planning, you don't need to add losing a great amount of weight to your to do list. DON'T order your gown five sizes too small hoping on a wing and a prayer that you are magically going to fit into it in 6 months! Just don't do it ok – it never turns out well! DO trust your alterations consultant to know what is going to work out the best for you. I'm not saying let them make every decision but they know things like how long the front of the gown should be or if that extended beading will turn out how you think it will! Listen to their expert advice and I guarantee things will go smoother for you in the long run. DON'T think you know what's best and completely ignore their advice or drown them in your demands. 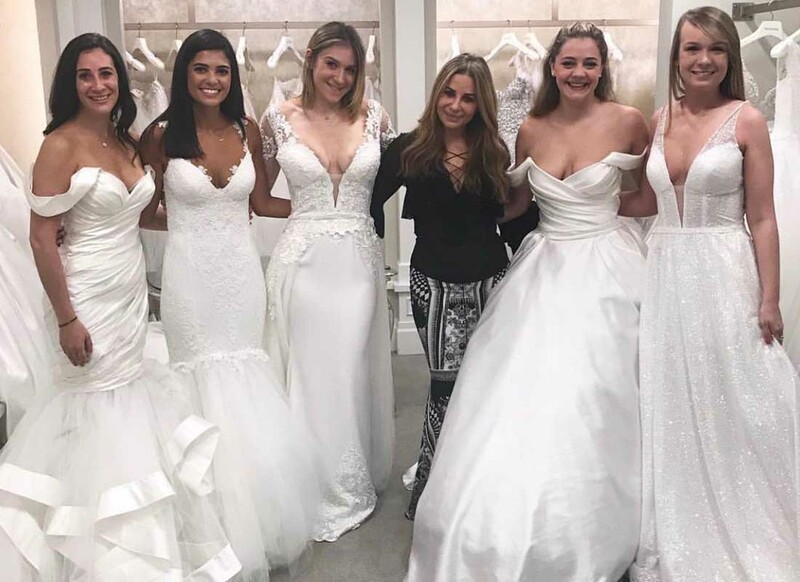 They have the fate of your dream wedding dress in their hands and while that might drive you a bit crazy to relinquish even a tiny bit of control, I promise the finished product will be worth it if you just let them do their thing. Plus, when's the last time you altered a gown yourself? Exactly! 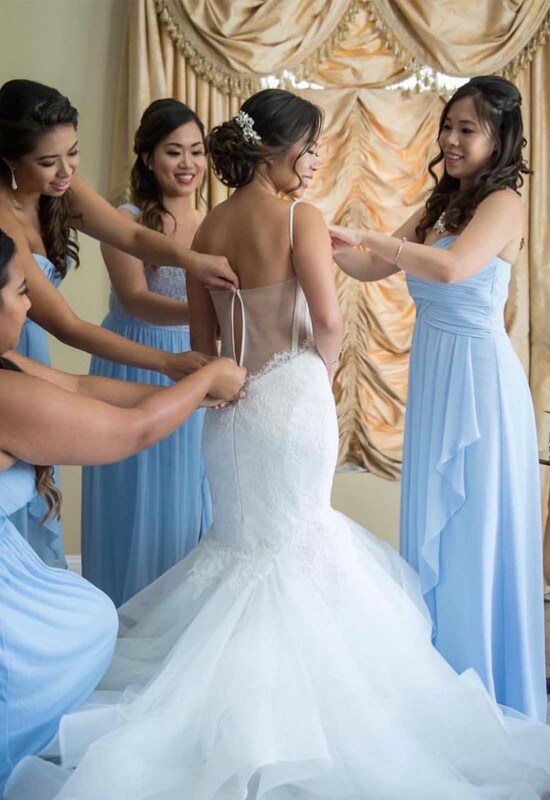 Tailoring each bride's gown to fit them like a glove is no easy feat but with enough time and the right decisions made, a bride can walk down the aisle feeling as beautiful as Cinderella sans the glass slipper. Photography by: Alexander Lipkin, Joseph Lin Photography, Jamie Levine Photography, Pnina Tornai Social Media Team, Leandro Da Silva Photography, Meew Meew Studios, The Bleu Studio, Tony Zhou Image, Visual Image NY.